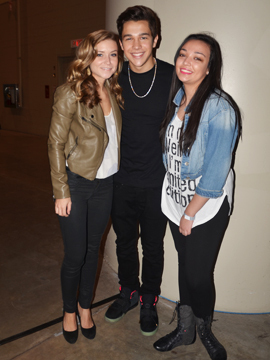 Catching Up With Austin Mahone: What’s “The Secret” All About? 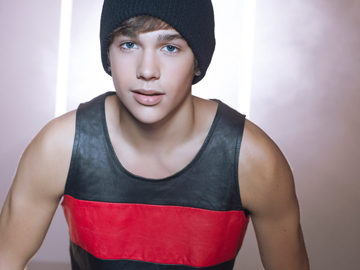 Faze last caught up with newly 18-year-old star Austin Mahone when he was here for MuchMusic’s Big Jingle in 2012 and he was a huge hit on our spring cover in 2013. Since then, Austin Mahone has been making headlines while on the Red Tour with Taylor Swift and the Summer Tour with Bridget Mendler, becoming the new teen ambassador for Lil Wayne’s Trukfit fashion clothing line and picking up a few MTV awards along the way. But Austin has no plans of joining a supergroup. “Everything happens for a reason,” he explains. With his Mahomies, family and friends by his side, Austin Mahone is planning to hit some big goals this year with his new album. “My next big goal would be to have my album go #1. I want to have a #1 single and I also want to go on a sold-out arena tour,” he says. It’s no secret that we’re behind you every step of the way, Austin!